Stop by the COA Office and pick up a brochure or download from the Friends website at www.coafriends.org. Please return completed form and check payable to Friends of the Council on Aging, PO Box 250, Dover MA 02030. Scholarships available. The Friends of the Dover Council on Aging, with the support of the Dover Council on Aging, are sponsoring a Lifetime Learning class: “Writing Your Memoirs”. Memoirs are factual stories about someone’s life. A memoir is a written account of one’s memories of certain events or people. Every one of us has a story to tell, whether from childhood or adolescence, or from a more recent stage of life. In this workshop, we will read and discuss a few brief excerpts from published memoirs. We will explore key elements including how to come with material and how to develop characters, details, structure, plot, conflict and dialogue. Students will work on a short autobiographical story over the four class meetings. We will read and discuss some of each participants memoir writing in a supportive class environment. Lynne Spigelmire Viti, JD PhD, is a senior lecturer in the Writing Program at Wellesley College. She is the author of three poetry chapbooks and many scholarly publications on literature, legal studies, and composition theory. In addition, she has published poetry and fiction in over 60 online and print literary journals. This class will meet on Monday February 11, February 25, March 11 and April 1 from 1:30 p.m. - 3:00 p.m. in at the Caryl Community Center, Room 108, Dover. The cost of the class is $35. Please make your check payable to Friends of the Dover Council on Aging and mail it to Dover Council on Aging, P.O. Box 250, Dover, MA 02030. For more information, please call the Dover COA at 508-315-5734. The Friends of the Dover Council on Aging held their annual Harvest Brunch at the Dover American Legion. This event raises funds for the Council on Aging to provide more diverse classes, day and overnight trips to fun places and even the purchase of office furniture. Music was provided by Trevor Mitoma while attendees dined and had a memorable and fun time. 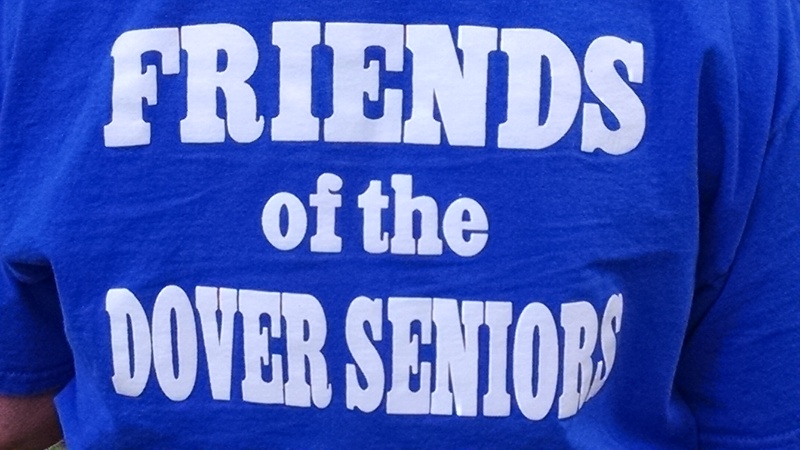 Welcome to The Friends of the Dover Council on Aging, the organization that raises money to help support the services and programs of the Dover COA. This is where you will be able to find out about the events and activities we are planning, as well as to find recaps of our most recent programs. Each year we present two or three large fund-raisers, in addition to several smaller events such as lectures, concerts, or receptions. We have a town-wide membership drive every November. Please check this website often for the most recent information about our activities. We invite everyone to join us in our work by becoming a member, making a donation, or by volunteering to help with one of our events. Seniors, their family members, friends, and neighbors are all encouraged to join; you don't have to live in Dover, you don't have to be a senior. You just have to care about our community. The Friends of the Dover Council on Aging presented their Seventh Annual October Harvest Brunch at Dover’s American Legion on Sunday, October 22, 2017 from 11:30 a.m. to 2:00 p.m. It was our honor and pleasure to have our event at Dover’s American Legion George B. Preston Post 209 Hall. The American Legion’s membership contributes time, materials, and money in service of several charitable efforts in Dover. Jack Quinlan was our featured pianist. Everyone who attended last year’s brunch raved about the music, the food and the terrific raffle items. This is an event for all no matter their age. This event raised funds for the Council on Aging to provide more diverse classes, day and overnight trips and even office furniture. What An Opportunity to Help Dover Seniors!